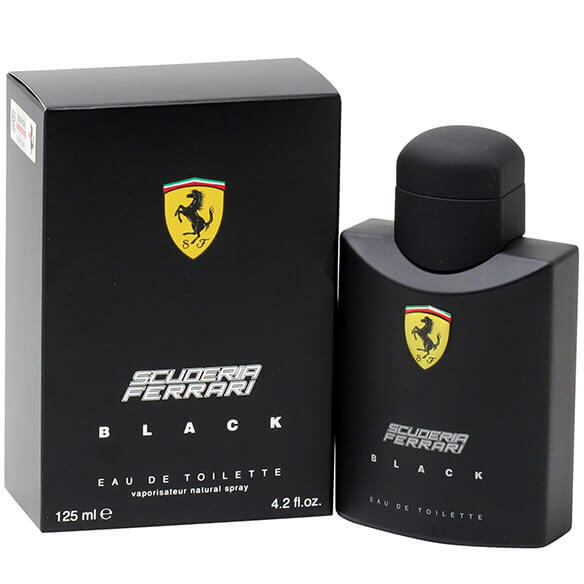 Ferrari Black by Ferrari is an aromatic fragrance that is well balanced. It's sweet and strong, yet romantic and pleasing at the same time. It has good longevity and it can be worn day or night. Features top notes of Lime, Plum, Bergamot and Apple, middle notes of Cinnamon, Jasmine, Rose and Cardamom and base notes of Amber, Vanilla, Musk and Cedar. An EDT spray. No express shipping. No shipping to PO boxes.